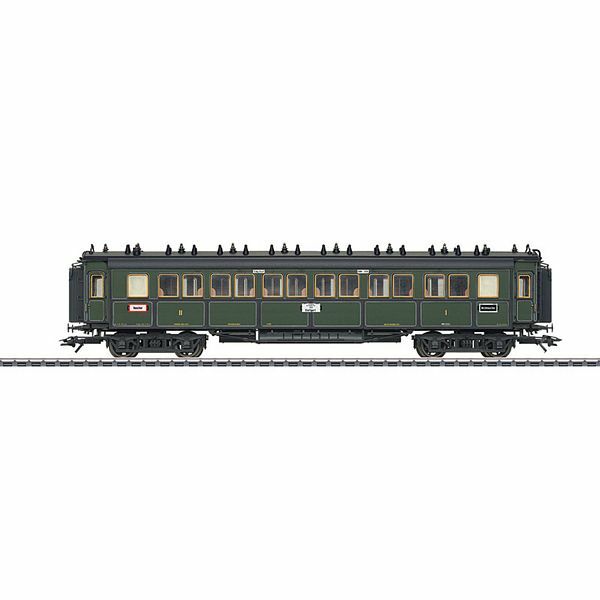 Prototype: Royal Bavarian State Railroad K.Bay.Sts.B. type ABBu four axle express train passenger car, 1st 2nd class. Train route from Munich via Augsburg and Ulm to Stuttgart. The car looks as it did around 1908. Model: The car features detailed construction and is full scale length. It has spoked wheel sets. The 66672 interior lighting kit can be installed in this car. Length over the buffers 21.6 cm / 8-1/2". DC wheel set E32301211. The K.Bay.Sts.B. Bavarian class S 2/6 can be used as motive power for this car. It can be found under item number 37015.